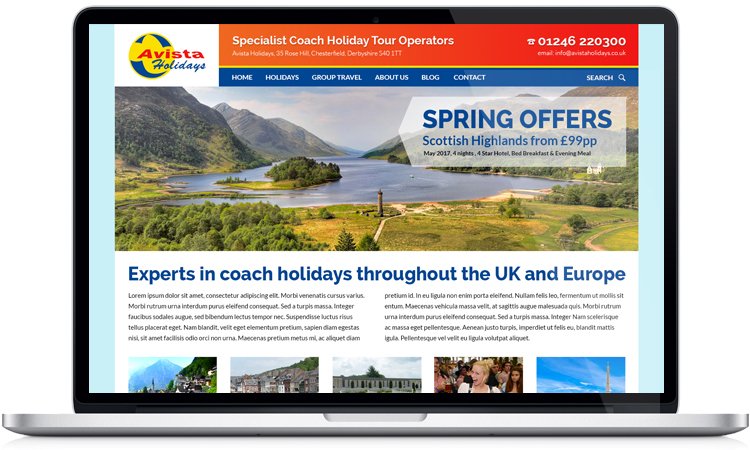 Working with our good friends at Progressive Web Development in Chesterfield, we designed this responsive holiday company website for coach travel company Avista. The brief was to create an eye catching, simple to use website to showcase their many holidays that would work on all media from mobile phones to desktop computers. Their target audience was older people and groups, so we designed the website with this in mind. The ‘cart’ page displayed on an ipad. We are experts in e-commerce website design, having designed and built websites in both Magento and Woo-commerce. 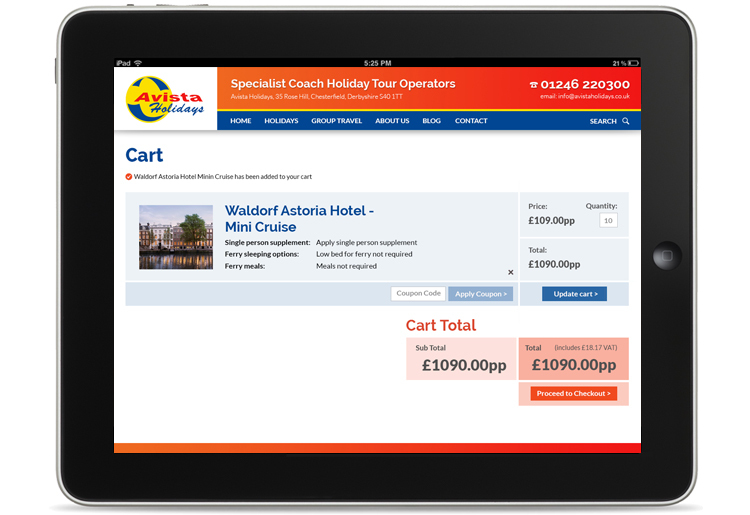 The Avista Holidays website not only showcases the companies holidays and weekend breaks, but they can be purchased online using the integrated e-commerce CMS system. Give us a call on 01433 208307 for a FREE website design quote, appraisal or a chat to discuss how we can help your business. 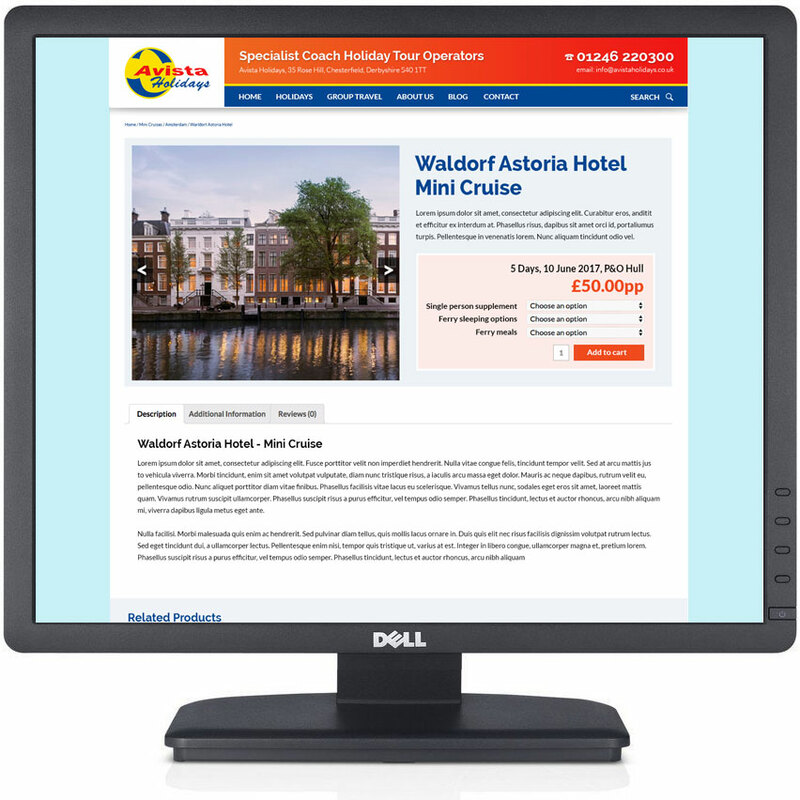 A ‘product’ page displayed on a desktop computer.